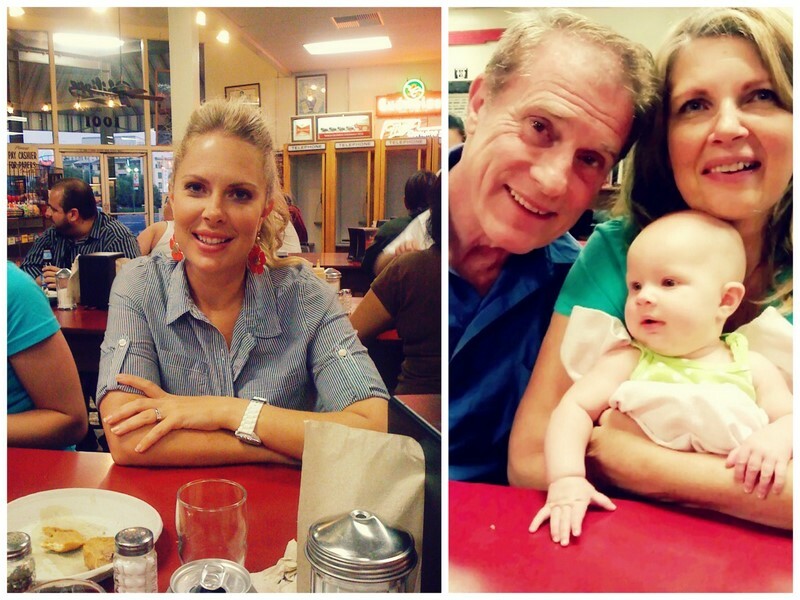 This past week I had my entire family in town. Unfortunately, what brought them here isn't the most joyous of occasions. My grandmother was recently diagnosed with colon cancer and given only a few weeks to months left. My family immediately boarded planes and crossed oceans to come see her in her last days. 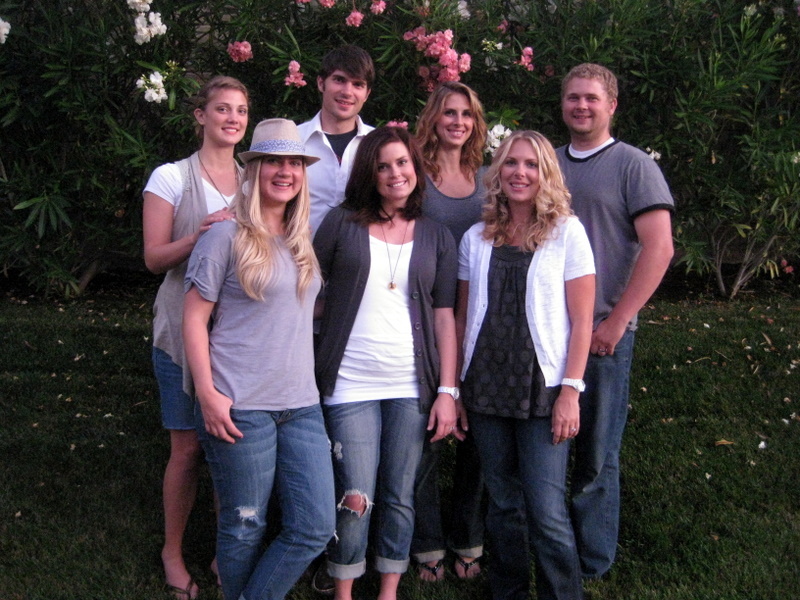 It has been 2 years since all seven children were together, so it was a special time captured in a family picture. Oddly enough, we all coordinated by wearing jeans and tops in the gray family--totally unplanned. My sister Amber and I mused about how often we might unconsciously do this even miles apart because on Sunday we all coordinated again. We are all on the same brain wave. Loved seeing my nephew Tadd (the tank). 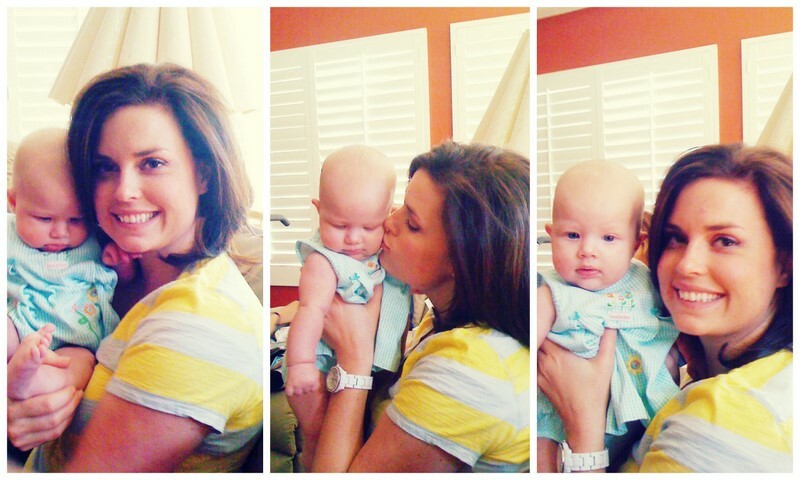 My sister Heather brought my newest niece Molly along, with whom I loved spending time. This was the first time I met her and she is pure cuteness, and I got in some good baby/mommy practice. 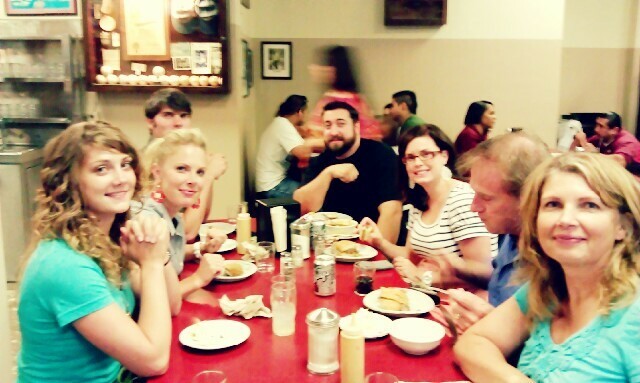 It was also the first time all us cousins (minus one) were together in YEARS! It was really special for my grandmother to have us all together under one roof again. 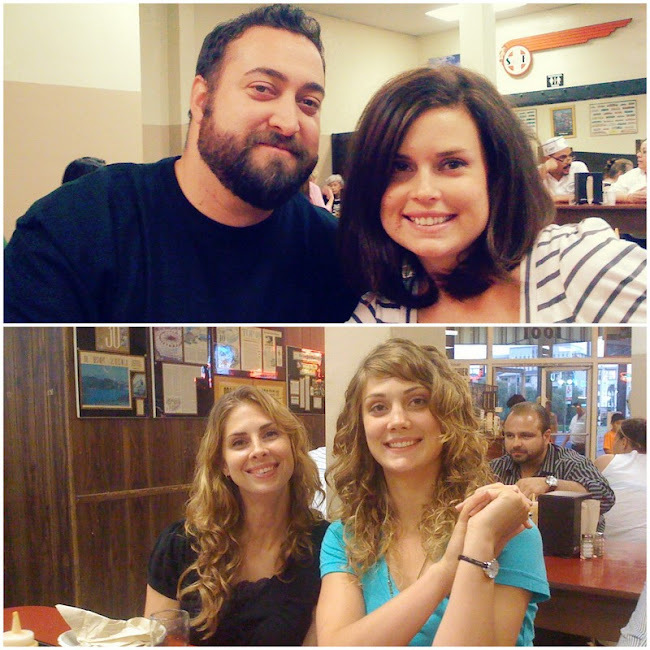 My family was able to have a fun dinner down in LA at one of Nathan's and my favorite spots, Philippes. Nobody, other than my sister Amber, had been there-- they all liked it. After dinner at Philippes, we drove across town for dessert at Bob's Big Boy. It was fun for Nathan and I to show off a few of our favorite spots. Everyone really enjoyed the night. I loved spending time with them. Personally, I think they all should move back, but I'm bias. As of right now my grandmother is doing okay. 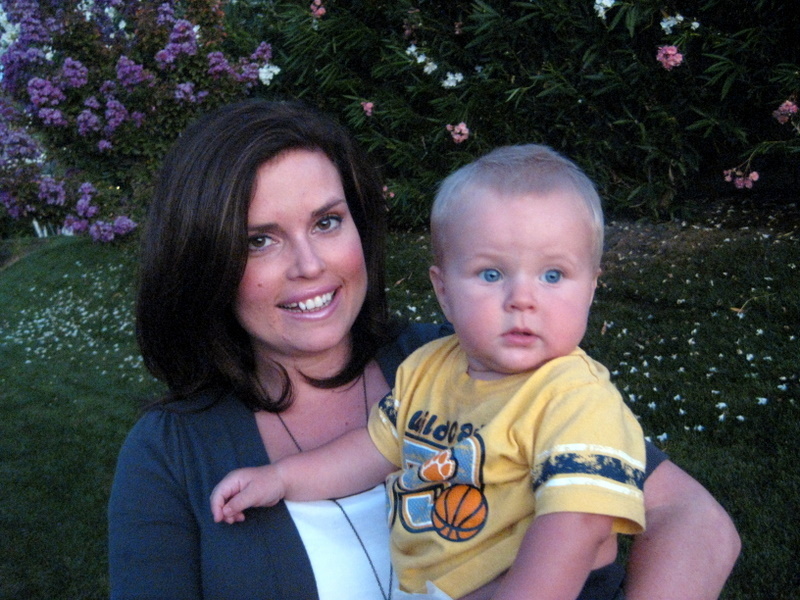 She chooses not to undergo chemotherapy, and will instead try some more natural remedies. She has her daughters taking care of her, but she is content and in a good state of mind. She feels peace knowing she will be reunited with her eternal soul mate, my grandfather, very soon. 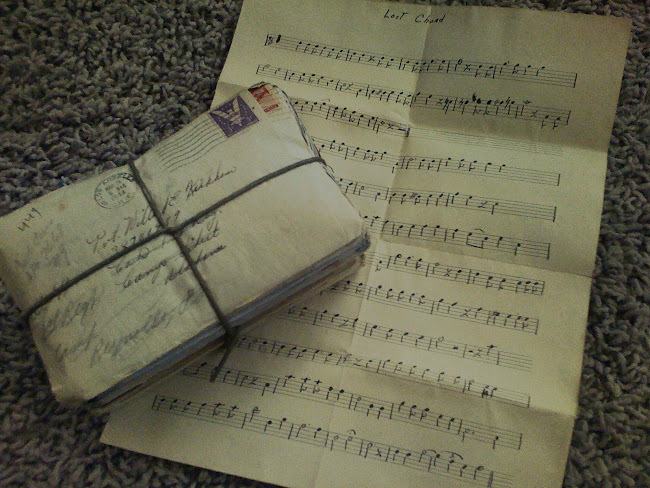 And as a special little side note, below is a picture of WWII love letters my grandmother sent my grandfather during the war from 1943-1944 They are bound together with a lace of an army boot. So romantic and priceless. Love all the pics, glad you got time to spend with all your family and neice and nephew; but wish it was under brighter circumstances! Thoughts and prayers go out to your Grandmother! Such sad circumstances, but I'm happy you all were able to unite and spend time together, fun time! All the best to your grandmother, it sounds like she is facing this shock with great bravery! You captured some precious pictures. Love the one of you and molly. It is always fun when we are together! Mom is doing about the same, which I guess is good? It was such a wonderful, yet bittersweet time. I really enjoyed staying with you and Nathan in your adorable house and eating Nathan's yummy food, and the cool eat spots! Will you post up those pics with me in them on Picasa so I can upload them? Miss you already.